PARSIPPANY, N.J.—GAF Materials Corp. has entered an agreement to acquire Icopal, a leading European manufacturer of roofing and other waterproofing products, from Investcorp Ltd. for about $1.1 billion. According to a GAF release, Icopal operates 36 production sites with 3,500 employees worldwide. It reported annual revenues of about $1.1 billion with operations and sales concentrated in Germany, England, France and Scandinavia, among other European regions. Both firms said the acquisition is pending regulatory approvals and projected to close by the second quarter of 2016. If approved, GAF said the combined company will be worth nearly $4 billion in sales, with 6,500 employees and operations in more than 80 countries. The firm's single-ply membrane business deals with a number of materials, primarily polyvinyl chloride. 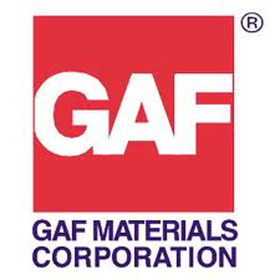 But a GAF spokesman confirmed that Icopal manufactures and sells thermoplastic polyolefin, selling the membrane in Germany, France, the Netherlands, England and elsewhere. The spokesman said that Jim Schnepper, GAF's executive vice president of sales, will become the CEO of GAF's Icopal division. The executive added that GAF is encouraged by Icopal's growth and strategic vision for its single-ply and liquid products. A GAF spokesman said the acquisition will give the firm better access to the European market, and Icopal wants to grow in the single-ply area. GAF intends to take the strategies it has used to build its single-ply business in North America and apply them in Europe through Icopal. GAF, with 3,000 employees and 29 manufacturing plants, is one of the largest roofing manufacturers in North America with an extensive portfolio of TPO and PVC membranes. Icopal brings leading positions in several of Europe's strongest markets, the spokesman said. GAF's presence in Europe was mainly in coatings, but the acquisition gives GAF the platform it needs to grow in Europe through Icopal's established brands, strong manufacturing presence and state-of-the art plants. In North America, GAF said Icopal's Siplast business has achieved a leading position in the U.S. Siplast focuses on high-end bitumen membranes—produced using thermoplastic rubbers such as SBS—for the commercial roofing market. GAF said Siplast will continue to operate as an independent premium roofing manufacturer with an emphasis on a high level of frontlife service. Icopal said in its release that since being acquired by Investcorp in 2007, the firm has grown into a multi-material provider of roofing and waterproofing solutions and services. The firm said it is widely recognized in Europe as the leader in modified bitumen membranes and has a significant and growing presence in synthetic and liquid roofing products. The firm also provides products for the residential roofing, building membranes, below ground waterproofing and civil engineering markets. GAF added that its parent company, Building Materials Corp. of America, will be renamed Standard Industries Inc. following the recent acquisitions of Specialty Granules Inc. and Quest Construction Products to better reflect its expanded brands and product offerings.